This hot off the presses: Motorola has just unveiled a new Moto Mod for its line of modular smartphones, one that compared to many of the other modular components, could really be popular among the masses. 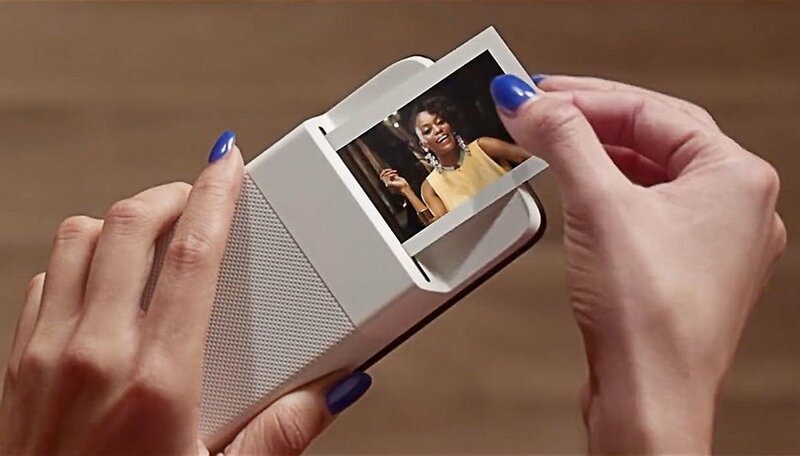 The Polaroid Insta-Share Printer turns your smartphone into an instant photo printer, allowing you to not only shoot and share your pictures, but print them off in a snap. How should Lenovo futher develop the Moto Mods platform? Everyone knows about the old-school Polaroid cameras, and they are really making a come-back. In a savvy move, Motorola has adopted the retro concept to its smartphones by adding the new Mod to its already well-stocked portfolio, which includes a gamepad, a projector, speakers with Amazon Alexa and a battery pack, to name a few. Using the phone's software, you can customize the pictures you take, like adding filters, text and borders, which you can then of course print in order to bring your creations to life. The pics are printed on 2x3-inch ZINK Zero-ink paper, which are also stickers, so you can stick them wherever you fancy. So far we're still checking on the availability of the product, but we'll keep you updated once we know if they are coming to a store (either brick and mortar or online) near you. The Moto Mods work with all Moto Z devices. What do you think of the new Polaroid Insta-Share Printer in the form of a Moto Mod? Would this motivate you to buy a Motorola smartphone to get your hands on this toy or is it, in your opinion, just another gimmick? Let us know in the comments below.